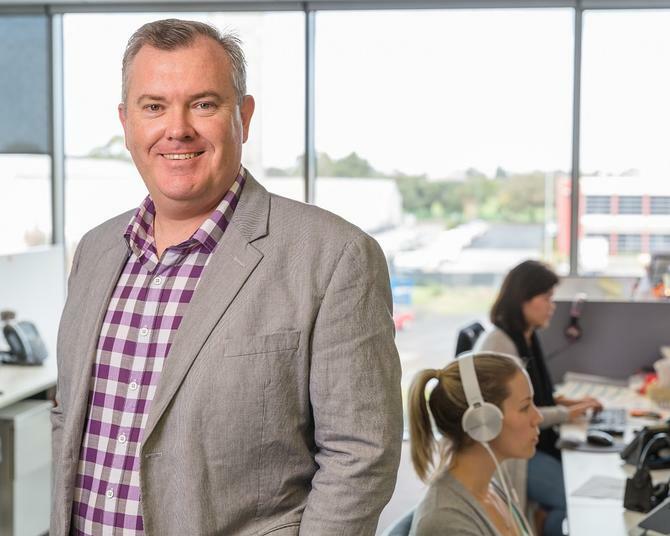 iSelect’s CEO is out and a new chief marketing officer is in as the insurance comparison site lowers its trading expectations for the 2017 financial year and shakes up its marketing and customer strategy. In a statement posted to the ASX today, the company confirmed managing director and CEO, Scott Wilson, has resigned effective immediately, following a five-year run. The board has appointed non-executive director, Brodie Arnhold, as interim chief while an executive search gets underway to find a permanent replacement. In addition, the company confirmed it had brought on Warren Hebard as its new chief marketing officer, effective April 2018. Hebard was previously the CMO of William Hill and spent four years with the betting group, originally joining as head of brand and acquisition. His resume also includes a marketing role with Tom Waterhouse as well as agencies such as Draftfcb and Fenton Stephens. Hebard replaces former CMO, Geraldine Davys, who left earlier this year after less than 18 months with iSelect. She’s since popped up as marketing director for Nissan Motor Corporation, a role that takes advantage of her 18-month stint with General Motors between March 2015 and August 2016. The news came as iSelect dramatically revised its full-year underlying EBIT expectations down to between $8 million and $12 million for the year to 30 June 2018, a drop of more than half on original guidance figures ($26 million to $29 million). The company blamed weaker market conditions, including a softening in the health and energy and telco verticals, as key reasons for the revised forecast. The plan going forward is heavily laden with marketing, customer experience and product investment. According to the iSelect statement, Hebard rounds off a series of executive-level appointments made in the last 12 months to drive this new charge. These include Slade Sherman, who was brought on as chief experience officer in February and has responsibility for iSelect’s technology platforms, IP, analytics, product user experience; and Henriette Rothschild, chief operating officer, who joined last August and has responsibility for the group’s contact centre in her wider remit. Among Hebard’s first tasks is a full strategic revise of the company’s marketing strategy and mix modelling tools to try and arrest underperformance in lead generation, iSelect stated. “iSelect’s business model depends on build building long-term brand equity and short-term lead generation – the mix between traditional media an digital spend must be carefully balances to ensure both objectives are met,” the company stated. At the same time, Sherman is being tasked with investing in new technologies, a key one of which is iConnect’s machine learning capabilities. As previously reported in CMO, iSelect is ramping up its martech play in 2018 in a bid to unlock more customer insights and lift growth. At one point, Davys explained iSelect's ambitions as "ramping up the ultimate customer life admin store". Complementing this is cross-vertical training, led by Rothschild, to enable better customer experience and increased multi-product sales, iSelect added.